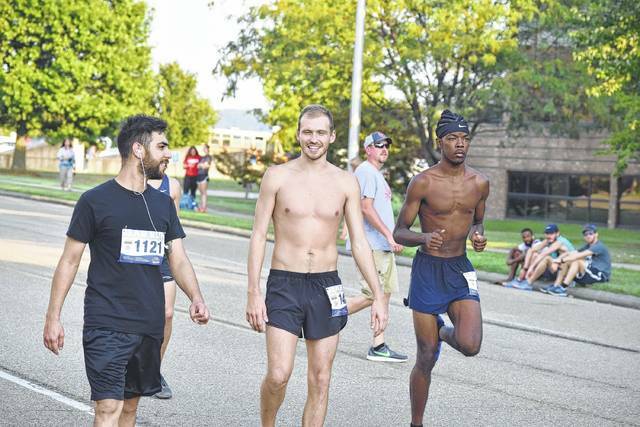 A trio of runners warm up before the start of the Shawnee State Bear Run. 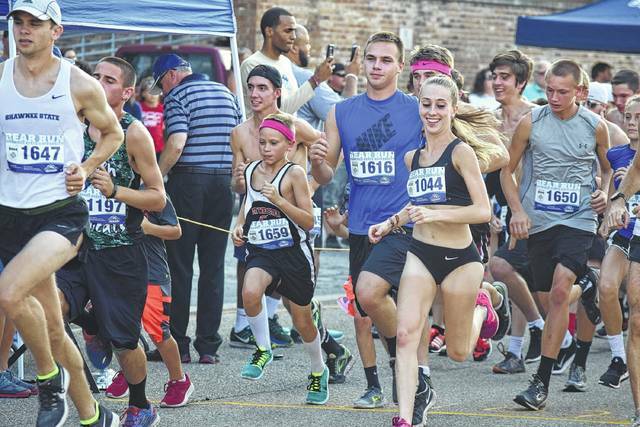 Individuals from the Valley school system run on the Bear Run course. 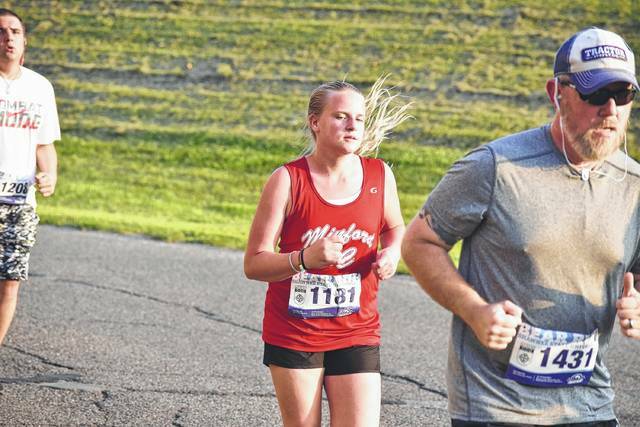 A Minford runner runs past the Kricker Hall section of the Bear Run course. 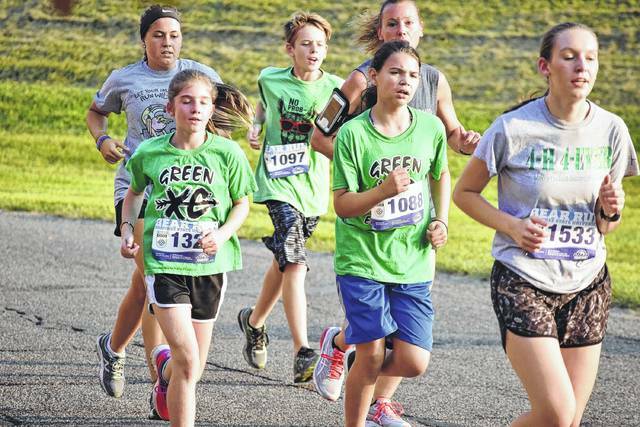 Several Green youth cross country runners run down the course. 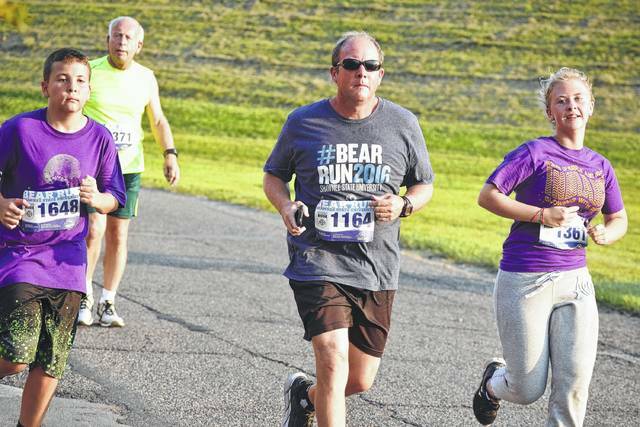 The start of the Bear Run. Sarah Biehl (right) is a past NAIA All-American and Bear Run winner.